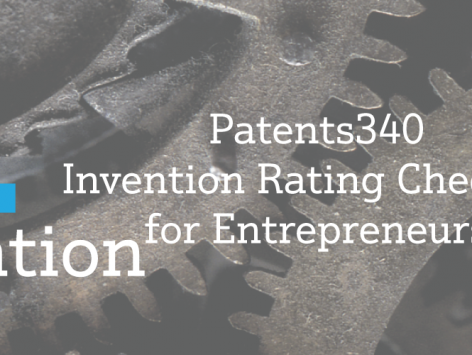 This course uses the Invention Rating Checklist to help you figure out if your invention is worth patenting. 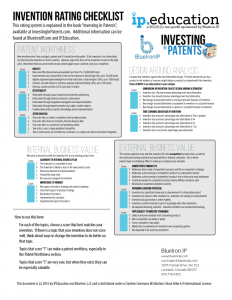 The Invention Rating Checklist captures many hard-fought lessons into a single page, and give you the confidence to pursue a patent – or not. The Invention Rating Checklist is used by Fortune 500 companies, but also by startup CEOs, angel and venture capital investors, and solo inventors. It gives you a rational and defined set of criteria for evaluating inventions. These criteria are great for grading and ranking inventions, but also for brainstorming and improving your invention. 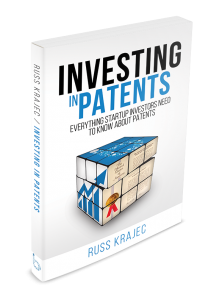 The Invention Rating Checklist is free for download here, and is also explained in detail in the book “Investing In Patents” which is available here.